Windows 10 Performance Monitor is a great tool for testing overall performance of a system. The report includes a number of useful diagnostics which can help troubleshoot everyday system issues. Summary which includes general performance of CPU, Disk, Network and Memory. 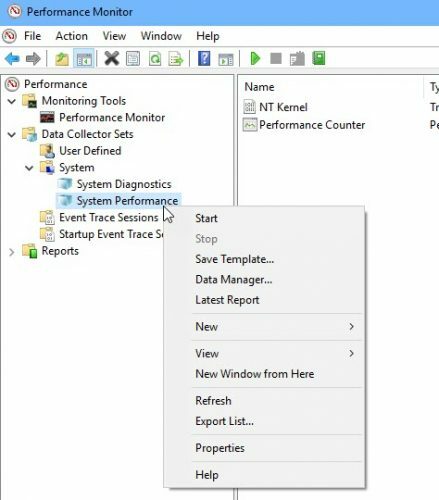 In this article, we will discuss about creating useful performance reports in Windows 10. This will help us troubleshoot your everyday system issues. 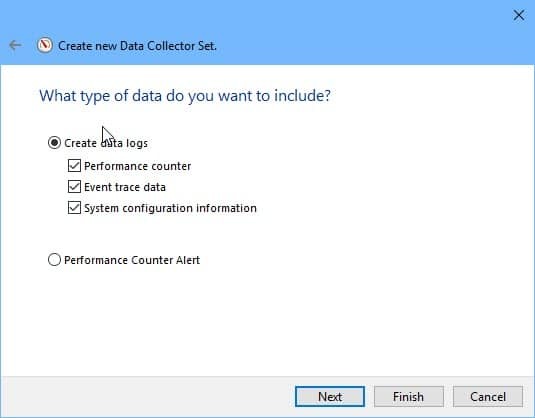 Windows 10 includes two built-in data sets which can be run to create a general report of different system metrics. Let’s generate a system performance report. The data set will run for 60 seconds. You can continue your work in the mean while. After one minute, a new report will be published under Reports –> System –> System Performance. This will give you an overview of how the system is running. For example, if you see in the Summary section, you will know about top process which is using the most CPU, the top apps which are using Network bandwidth and also the top outbound and inbound IP address. The summary will also tell you about the apps which are taking a lot of memory. For troubleshooting, check which system is being used more than usual. 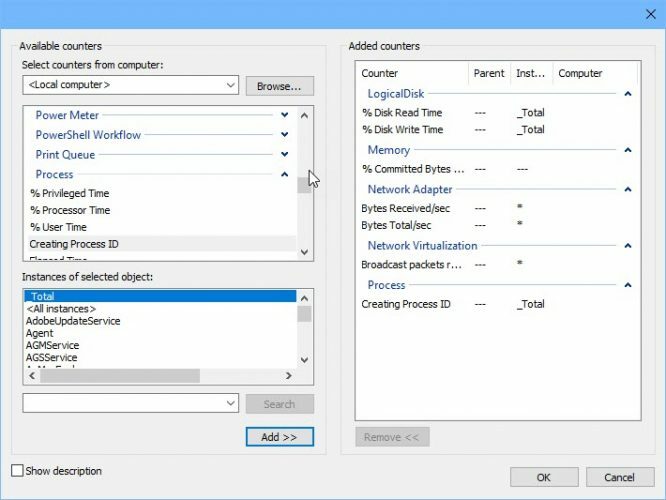 For example, if the disk is being choked, go to the Disk details section below and check which files and processes are using the most disk time. The disk breakdown will tell you which processes are consuming the most disk. If you have specific requirements, you can also create custom reports in Performance Monitor. 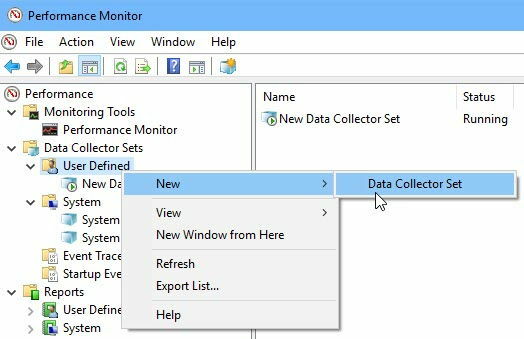 To create a custom report, you will need to create a custom data collector set. You can either create from a template or create from scratch. For now, we will select “Create manually”. Select the type of data to include in monitoring and report. Add performance counters specific to your requirements. 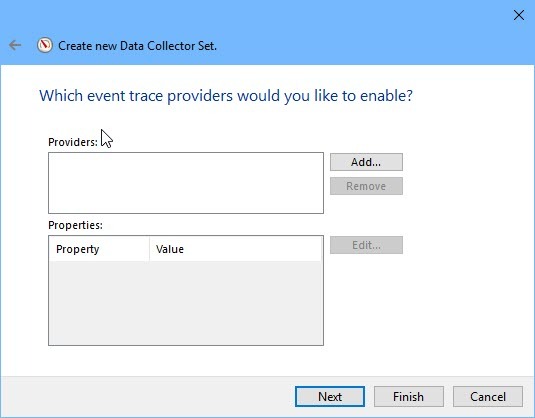 Next select event trace providers you want to enable. Leave black if you don’t know about this. 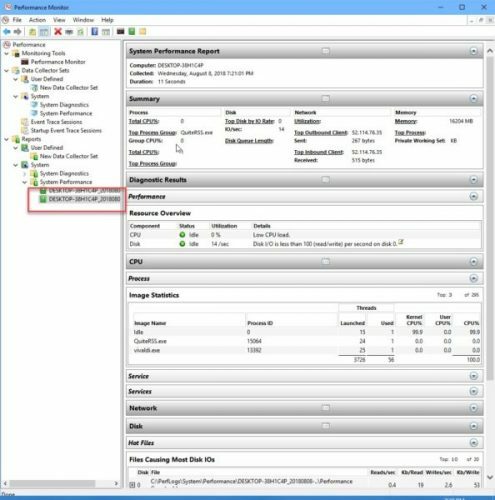 You can also add registry keys to monitor in the performance report. You can also select the user under which this performance counter should run. Note: You need to login as administrator to run performance reports. 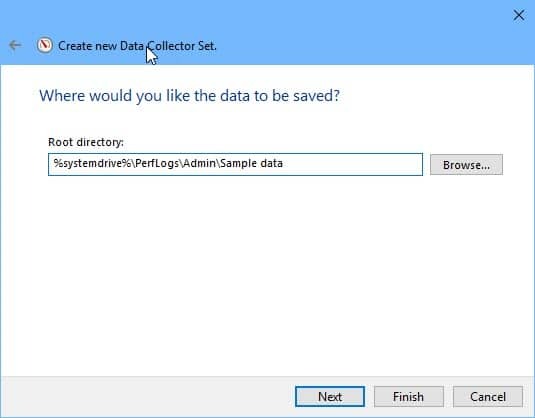 Clicking Save and Finish will create a new user defined data collector set. 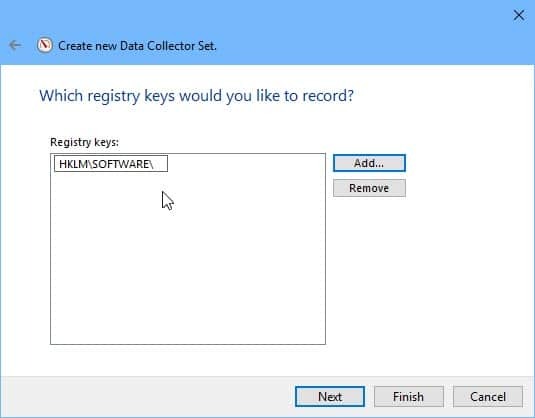 To run this data set, right click and select Run. 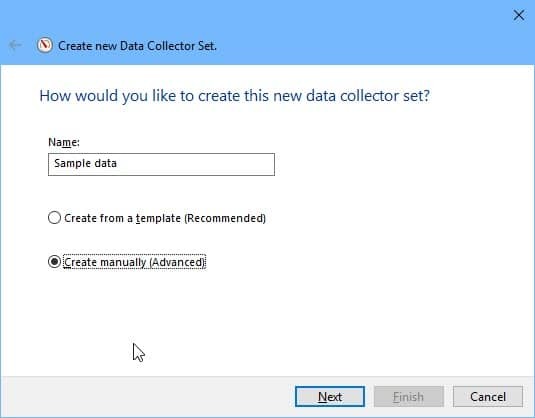 When you want to stop the data collector set, right click it and select Stop. This will create a new report under Reports –> User Defined. Windows 10 Performance Monitor is helpful especially for IT Admins and support staff. They can easily run the performance report while user is working on his or her computer and then see what is actually going wrong. 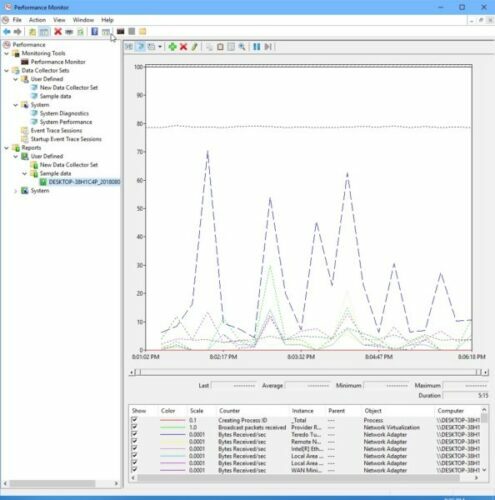 If you are in a Microsoft domain network, the performance monitor can also be run on remote computers. You just have to run the performance monitor as domain admin and select the computer on which you want to run the reports. 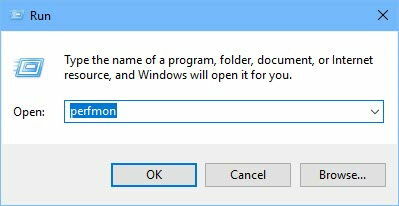 Have you ever run Windows 10 performance test? Is it useful for troubleshooting your everyday computer problems?